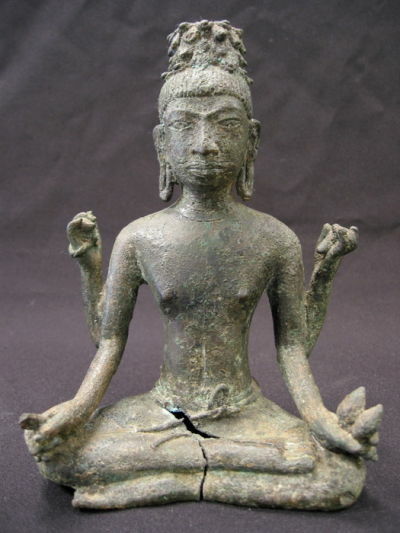 Over three hundred Buddhist bronze statues were found in the Buriram province of Thailand in 1964. 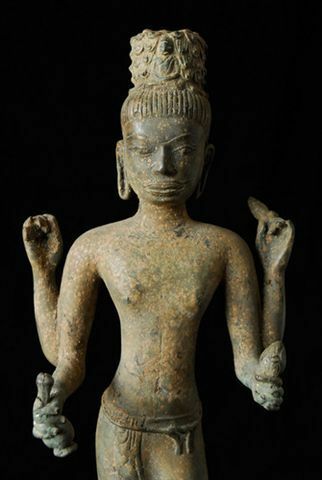 In the March/April 2002 issue of Arts of Asia, Emma Bunker unveiled in her article 'The Prakon Chai Story: Facts and Fiction', pp. 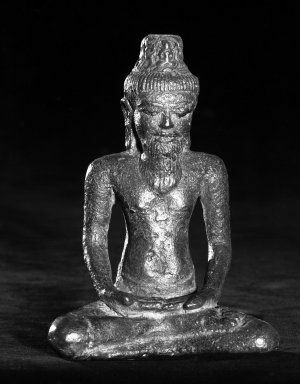 106-125, the exact finding spot (Prasat Hin Khao Plai Bat II) of this group. 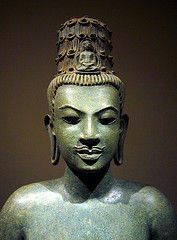 Most bronzes represent the bodhisattvas Avalokiteshvara or Maitreya, while only a few have Buddha Sakyamuni as subject. 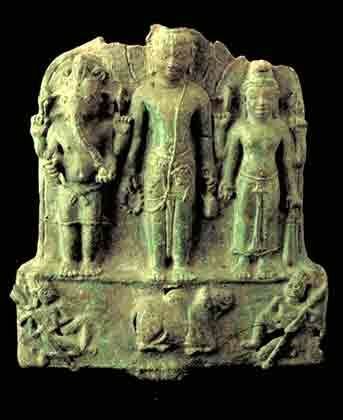 The bodhisattva images were made in the style of Pre Angkor Cambodia as the area where they were found lay on the crossroad from India through Burma, Thailand towards Cambodia and beyond. 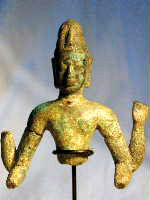 The entire group forms more or less an unified entity, although some bronzes display a high tin content like the one under review. 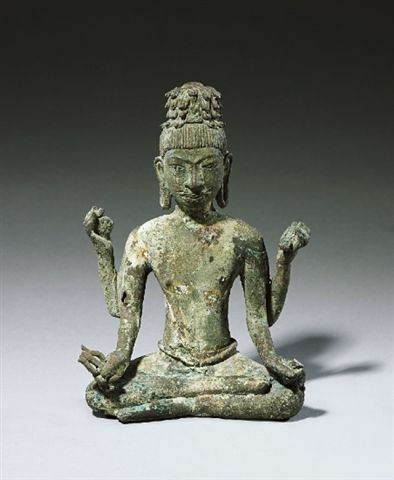 Most bodhisattvas are casted in a pure ascetic form. This is accentuated by their slender form, elongated body and simple dhoti. 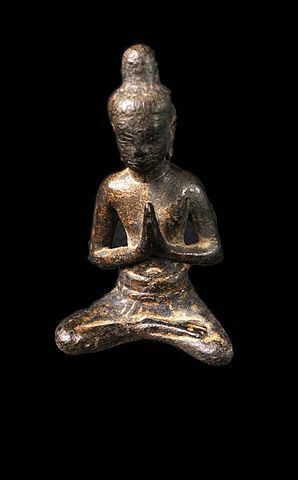 No jewellery is found on their body, contrasting strongly with the usual concept of bodhisattva. The group also displays an internal development with the earlier examples, like the presented one, being slightly less static than the later ones. 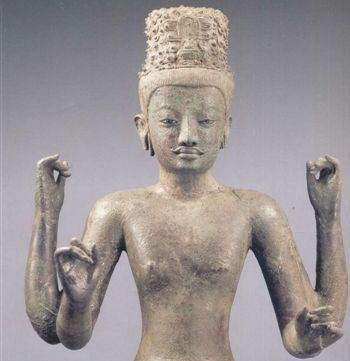 The earlier statues can be dated to the end of the seventh to early eighth century.